What better place for the only currency pegged to the World Economy than the World Economic Forum? GLX is the first stable payment coin based on a basket of the world’s top 15 currencies and gold, acting as the most universal of its kind. GLX holders also have access to a powerful hedging tool against crypto volatility, protecting purchasing power against global conditions (the basket has outperformed the Swiss Frank as a less volatile option every year since 2010). Globcoin customers can now trade and access the benefits of the GLX payment token on these Exchanges. Each 1 GLX Stablecoin is redeemable against all major currencies at any point in time for that stable value, which is denominated in fiat. With a 1:1 conversion rate, GLX is 100% backed by fiat currencies and gold, fully exchangeable. The diversification effect makes it even more stable than the Swiss Franc! 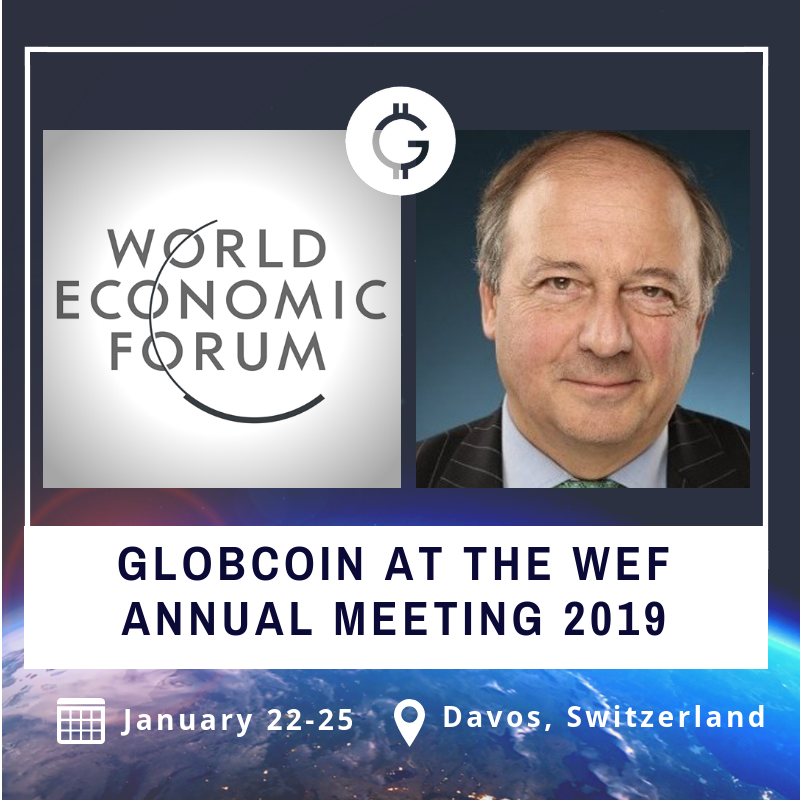 — Hélie d’Hautefort, founder and CEO of Globcoin. The World Economic Forum Annual Meeting is a truly unique event. More than 100 governments, top leaders from more than 1,000 international companies and organizations , global visionaries and pioneers come together to discuss the year’s agenda for the whole world. Today’s agenda inevitably includes the crypto market and its new horizons. The current crypto market shows a strong need for stablecoins; this is why the GLX is more relevant than ever: A currency basket well diversified amongst G10 currencies, emerging currencies and gold, covering about 85% of the World Economy. You can now trade the GLX on Lykke and InstantBitex.